But the breath has always been there with you since you were born, being a part of yourself, just you don’t express it consciously every minute. The same applies to faith and Nembutsu. 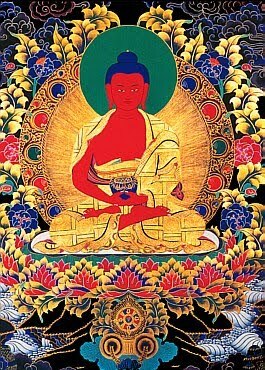 The faith is there, inside you, since the first time you entrusted in Amida Buddha and you’ve become a person of faith. No matter what you do in your every day life, eating, sleeping, going to toilet, spending time with your girlfriend or boyfriend, being sad or happy, sober or drunk, the faith is there and cannot be destroyed (once received) by anything, not even by the worst of your blind passions. From time to time you remember that you are accepted as you are and saved by Amida Buddha, feel again the relief of somebody who no longer needs to rely on himself to attain freedom from birth and death, and so you express this faith and say „thank you” to Amida with Namo Amida Butsu.